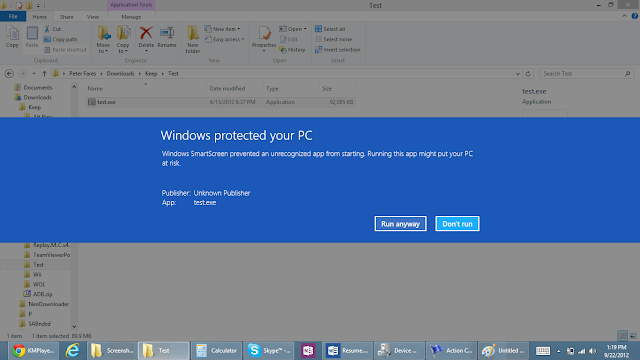 Windows SmartScreen is a new feature added in Windows 8 to help protect users from running unverified software downloaded from the internet. 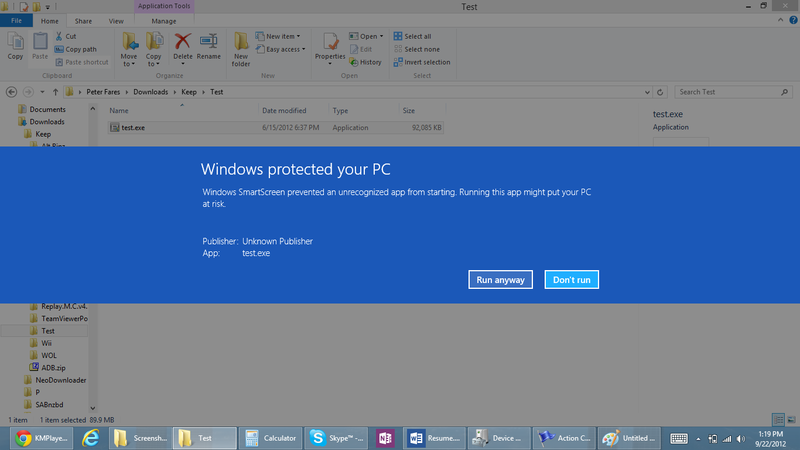 While it's a great feature, those who run unverified software often can get quite annoyed by it. 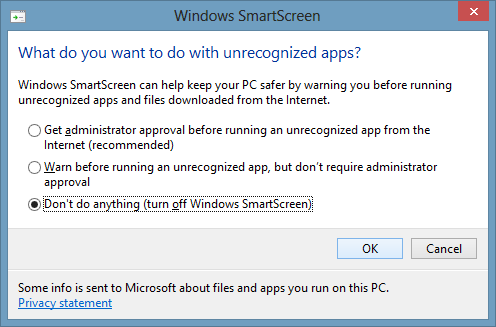 If you don't run much unverified software, it is suggested to leave SmartScreen on and bypassing it manually each time. 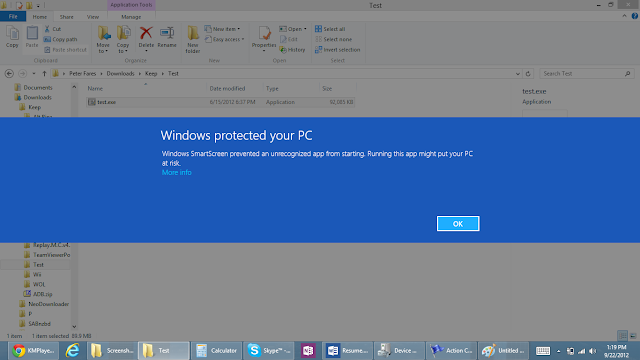 You do this by pressing "More info" then pressing "Run anyway". If you would like to disable the prompt, it is pretty easy. 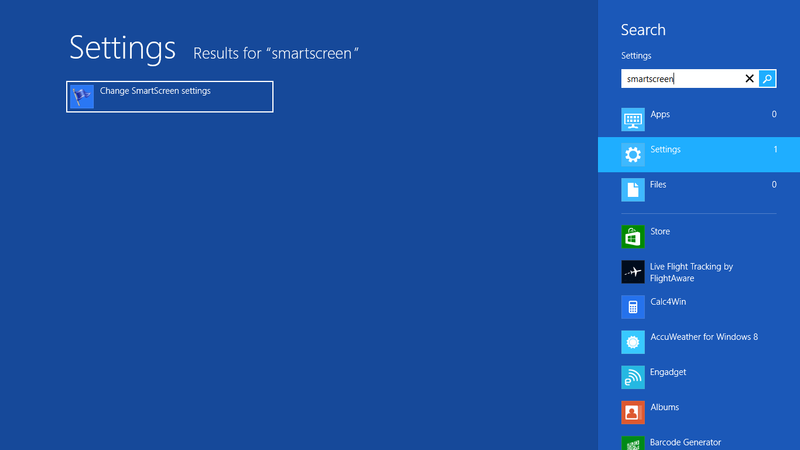 Mouse and keyboard users press Win+W and type smartscreen then press enter. Or open the charms bar (Win+C or move your mouse to the top right or bottom right corners and then to the center of the right side of the screen) and press search. Touch users open charms bar (swipe in from the side) and press search. Then type in smartscreen, select settings at the right, then press "Change SmartScreen settings". 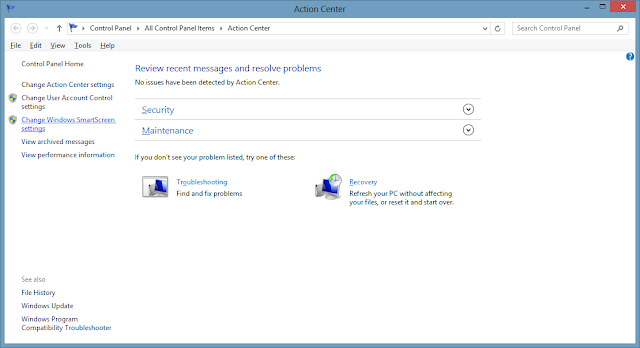 Press "Don't do anything (turn off Windows SmartScreen)" and then press OK and close the Action Center. SmartScreen and the dialog are now disabled.